Stellenbosch properties for sale offers the most sought after properties in the Western Cape Winelands region. These Stellenbosch properties are surrounded by towering mountains such as Simonsberg, Stellenbosch, Helderberg and Jonkershoek mountains and hills lined with vineyards. The Stellenbosch properties for sale are located in the oldest town in South Africa. Stellenbosch was founded in 1679 by Simon van der Stel. With its fertile soil, the Dutch East India Company intended to grow vegetables in the valley and supply the ships en route to the East Indies. 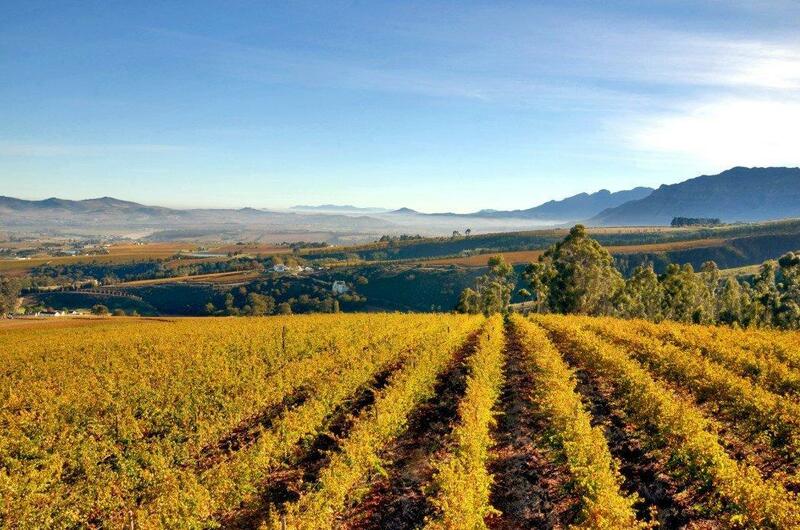 The first farmers settled on the Eerste River in 1683, with the first colonialists from the Netherlands, Germany, France and Britain making the Stellenbosch Farms for sale and Stellenbosch properties for sale very special. It is the Cape Dutch architecture that has proved the most distinctive over the years and there are fine examples of this building style dotted throughout Stellenbosch and the Stellenbosch Farms for sale. The early townspeople were encouraged to plant oak trees and the area became known as "Eikestad" or ‘town of oaks' and these majestic trees provide welcome shade when the mercury is rising during the summer months. Stellenbosch has developed into a vibrant university town, with the growth a direct result of the University of Stellenbosch, renowned as one of the world's top learning institutions placing huge demands on the Stellenbosch apartments for sale. For the inhabitants, there is a small-town aura with a leisurely lifestyle in an atmosphere where art, music and theatre reign. Yet Stellenbosch is only half-an-hour's drive from the Mother City of Cape Town... where else could one find this quality of life? And for the students, in addition to the buzz of campus life, the academic stimulation, and the sports facilities surrounded by mountain scenery, there are the sidewalk cafés and friendly meet-and-eat pubs - all within walking distance. Apart from all the wonderful Stellenbosch wine estates, most of the Stellenbosch accommodation establishments and restaurants are also privately owned and managed - promising you a personal and pampered experience. From historical farms and houses to modern golf estate living in De Zalze Winelands Golf Estate and Devonvale Golf and Wine Estate or secure country estates such as De Bosch Country Estate and Slaley Estate, from Student apartments for rent to Stellenbosch Lifestyle smallholdings and Stellenbosch wine farms for sale, Stellenbosch can offer a prospective purchaser, a wide range of suitable properties in a secure, family friendly environment boasting top public and private schools such as Somerset College, Paul Roos Gymnasium, Bloemhof Meisies Skool, Rhenish School, Eikestad Laerskool and Stellenbosch Schools. This is a town where people still have the freedom to walk and children can play in the streets and ride bikes to school. Stellenbosch is home to many well known artists and crafters of note such as Dylan Lewis, Portchie and Kaffie Pretorius. A wealth of local products -art, craft, jewellers, boutiques, deli's etc. can be found and enjoyed such as the weekly Stellenbosch Slow Food Market at the Oude Libertas venue. 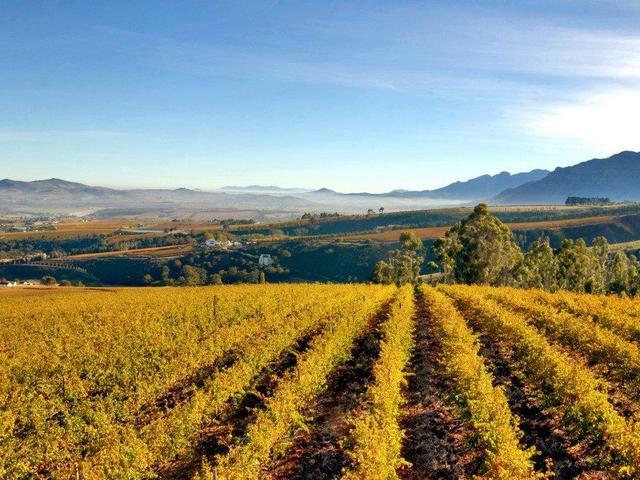 Today, there are more than 600 Wine farms and Lifestyle farms and 123 wine cellars in the Stellenbosch area, producing some of the best wines in South Africa. The dramatically beautiful environment, street cafes, restaurants, mountain trails, plethora of outdoor pursuits (hiking, fishing, horse riding), wine estates and access to some of the Cape's best beaches nearby makes Stellenbosch an idyllic place to live. De Zalze Winelands Golf Estate in Stellenbosch is a reputable luxurious security estate in the heart of the winelands, reputed for its excellent security and enviable lifestyle. The name “De Zalze” originates from the early wine farmers who produced wines on three adjoining farms, namely Kleine Zalze, Groote Zalze and De Vleie, in the region. Boasting views towards the Stellenbosch Mountains and the extraordinary beauty of the vineyards, lavender fields and olive groves all around, one experiences a sense of tranquillity and presence. The magnificent mountain ranges reach heights of 1600 metres, forming a spectacular backdrop to the estate. Continuously attracting local and international investors since its inception, this estate truly offers a unique combination of lifestyle and security with guards that patrol 24 hour shifts, two access gates with booms and telephonic communication between the gatehouse and each property, all of which ensures the comfort and safety of residents and guests. The De Zalze Winelands and Golf Estate spans 300 hectares, comprising 120 hectares of vineyards, and enjoys a prime location between Somerset West and Stellenbosch, affording close proximity to Somerset College and the well-respected schools of Stellenbosch. The De Zalze 18 hole golf course is ranked as one of the most challenging golf courses in the country and is always busy and social. Designed by Peter Matkovich, it is one of only 14 courses countrywide to receive the "Complete Golfer & apos,s Five Star Experience" award. The Golf club is well positioned, perched above the course with stunning views from the expansive patio. The manicured fairways at De Zalze are of international standard and contain many water features including the Blaauwklippen River which meanders through the course. The serene setting with beautiful mountain views in the midst of the winelands makes it a truly pleasurable experience. The design of the estate is special in that there are various villages, each with its own unique character and identity. These villages cater for all likes and individual preferences, offering either elevated views or nestled on the banks of the Blaauwklippen River, with pretty water features in between. Contact your Sotheby’s International Realty office in Bird Street Stellenbosch for your ultimate De Zalze Winelands Golf Estate property. For all your property needs whether it be De Zalze rental properties or properties for sale in De Zalze Winelands Golf Estate contact the Lew Geffen Sotheby’s Estate Agents in Stellenbosch. The Winelands Golf Lodges lies at the heart of the prestigious De Zalze Winelands Golf Estate. These brand-new, self-catering lodges are the perfect investment for tourists who wish to enjoy the lifestyle of De Zalze and occupy the lodge for only 6 months of the year. These lavishly furnished lodges overlook the 10th fairway and enjoy spectacular views across the golf course to the mountains beyond. A choice of Lodges is available (from one to four bedrooms) each immaculately appointed and present the perfect opportunity for those investors who wish to earn income from holiday rentals. The hospitality club house offers guests a comfortable lounge, wireless internet and a well-stocked cellar. It also boasts a magnificent swimming pool, restaurant, gymnasium, conference facility and wonderful walks amongst the vineyards. The world renowned Terroir Restaurant, award winner as one of the leading top 10 restaurants in the Western Cape, is located in Kleine Zalze, a unique village on the fringe of the greater De Zalze estate where there are also spectacular homes as well as the Kleine Zalze wine cellar offering first class varietals of wine. The unique fynbos attracts incredible bird life to the estate, making bird watching an incredible experience. Stellenbosch Square is conveniently situated across the road from the Estate providing convenient shopping, including a Woolworths and Pick n Pay outlet. Stellenbosch is a haven for tourists who savour the atmosphere of this unique town with its oak-lined streets, galleries, open air cafes and exceptional restaurants. The town is well known for its high calibre university that attracts students from all over the world. Many residents relocate to this bustling town so that their children can attend the excellent schools in the area. These factors always ensure a steady and stable interest for the investment of properties in this popular and charming town.